Looking for that perfect blended ice coffee recipe you can make with your blender at home? I have some perfectly delicious blended iced coffee recipes below that are easy and affordable to make at home. 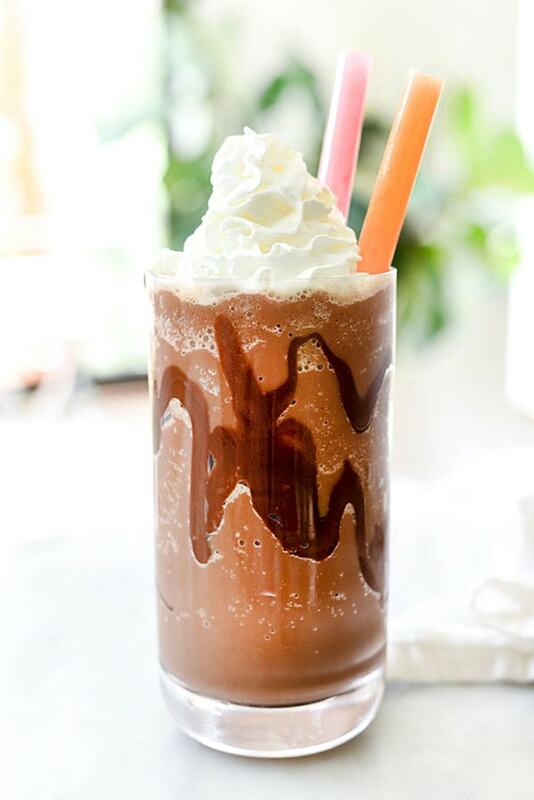 Genius Kitchen uses cold brewed coffee to get this vibrant and rich French vanilla frozen coffee! Easy to make and just a little time before you can sip this through your straw. The recipe is over here. Fork Knife Swoon has what any coffee and chocolate lover dreams of. This blended double chocolate coffee is where dreams are made of. Rich chocolate with bold coffee flavor. See how to make it. 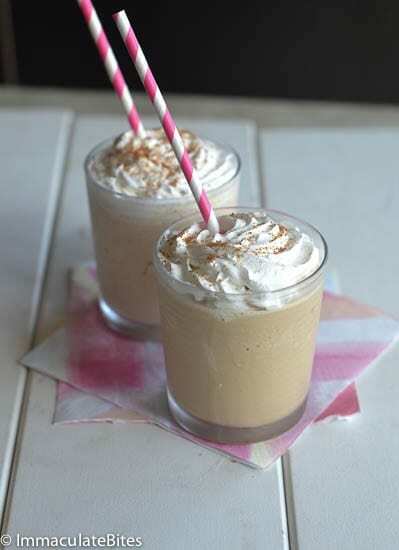 Simple Bites has a delicious and refreshing iced frappe that she can make at home. 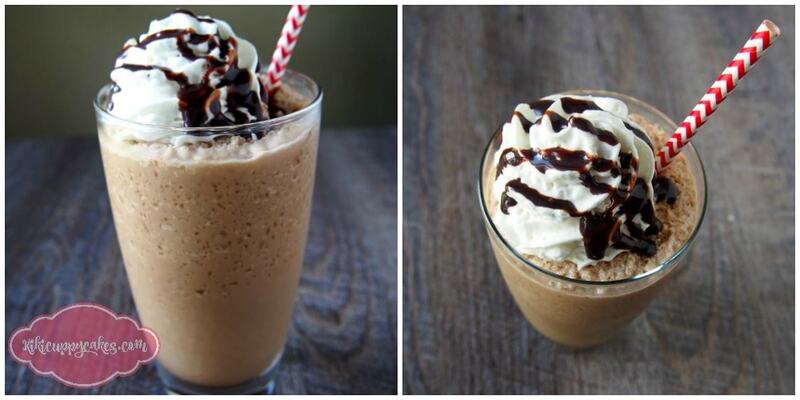 Easy to follow, basic ingredients and in minutes a chilled frappe in your hand. Here is her recipe. Serve up this blended caramel coffee for dessert at your next dinner party. Life Love and Sugar shares her recipe that will win over anyone’s heart. 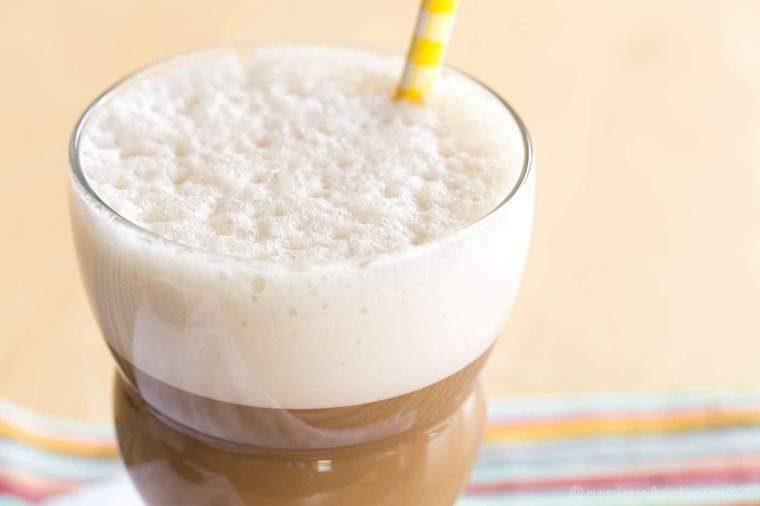 Check out this sweet blended coffee recipe. Cupcakes and Kale Chips has a dairy-free blended iced coffee recipe that she makes at home for a fraction of the price as buying in a coffee shop. See her easy and tasty recipe. Immaculate Bites had me at Thai! This Thai blended iced coffee is full of vibrant flavor, they use coconut milk and condensed milk to get those rich elements of flavor. Head over for the recipe. Chocolate Covered Katie has one award-winning frozen coffee recipe on her blog. You get that creamy mocha coffee flavor in a frozen blended form. Learn how to make one for yourself. Port and Fin take a cappuccino and transform it into the perfect blended iced cappuccino. Sip on this outside on your deck after a long workday! Here is their recipe. 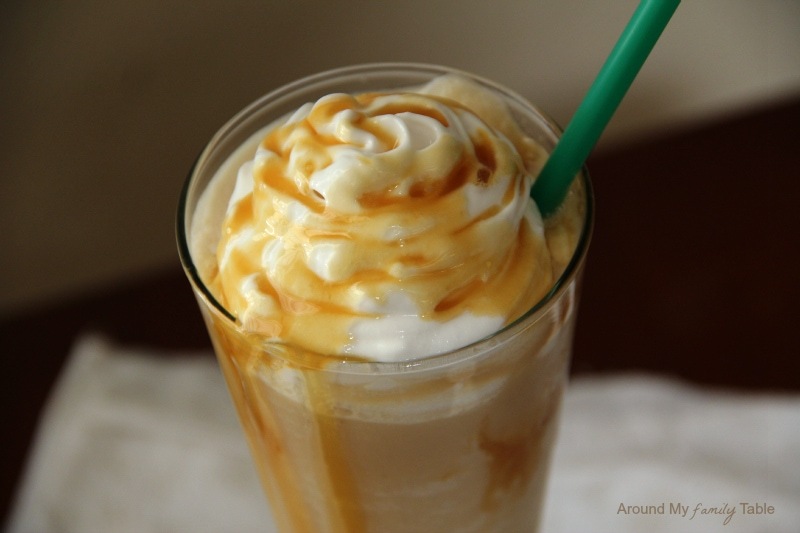 Here is a frozen Caramel Macchiato recipe over at Around My Table, that you all might want to try. 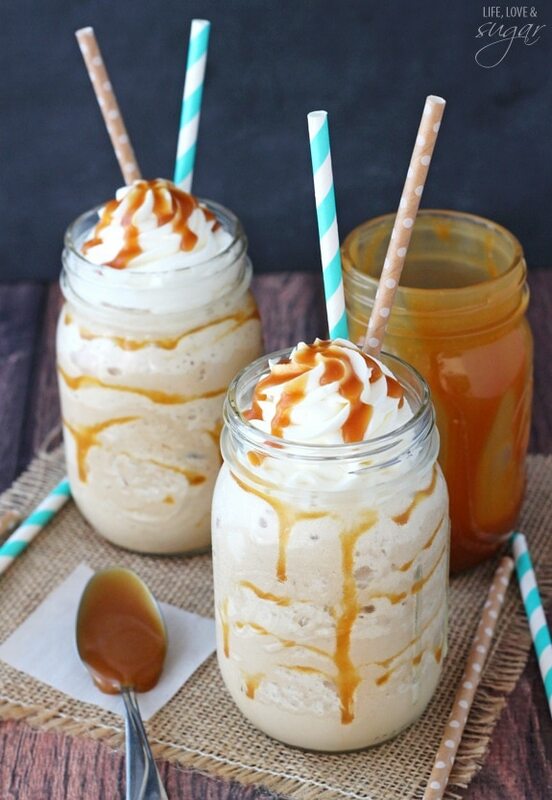 You get that sweet caramel flavor, whipped topping, mixed with perfectly blended iced coffee. Check out the recipe. 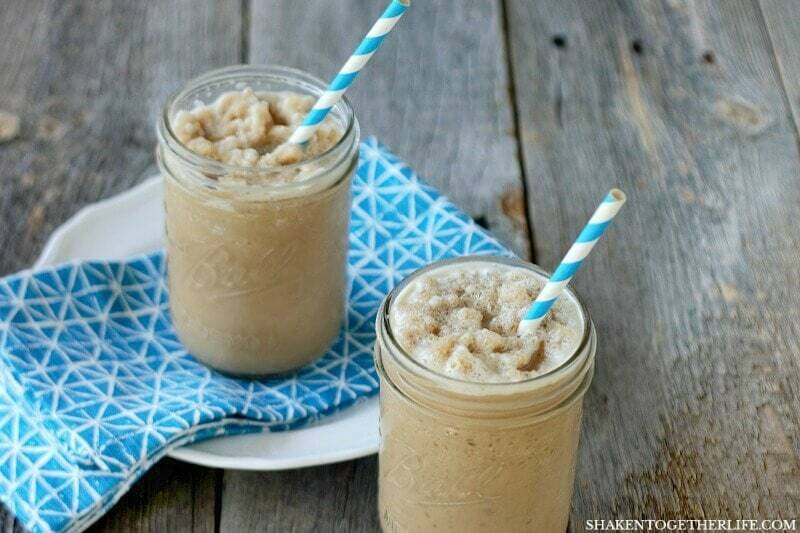 3-Ingredients is all that is required to make this Simple Coffee Slush recipe, that the Frugal Girls shared. Vibrant in flavors and thirst-quenching good. Here is the recipe. 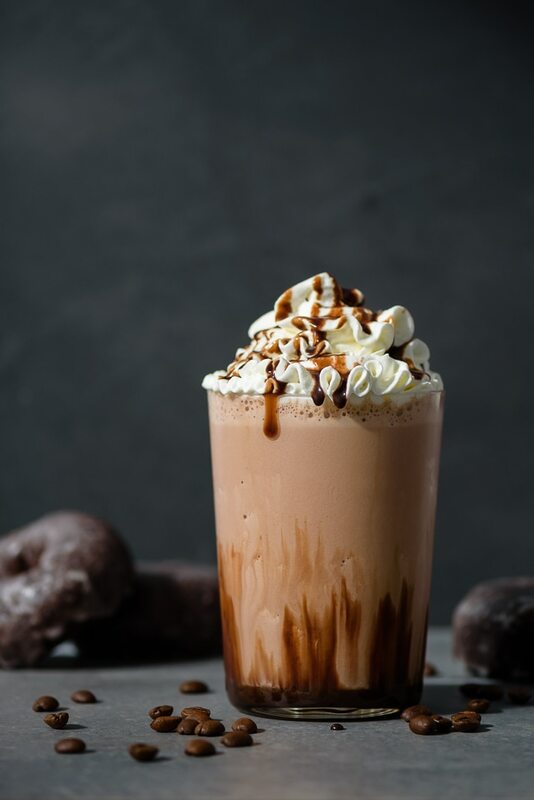 Foodie Crush whipped up this rich and decadent blended mocha coffee that is perfect to start the day with or treat yourself after a long day. 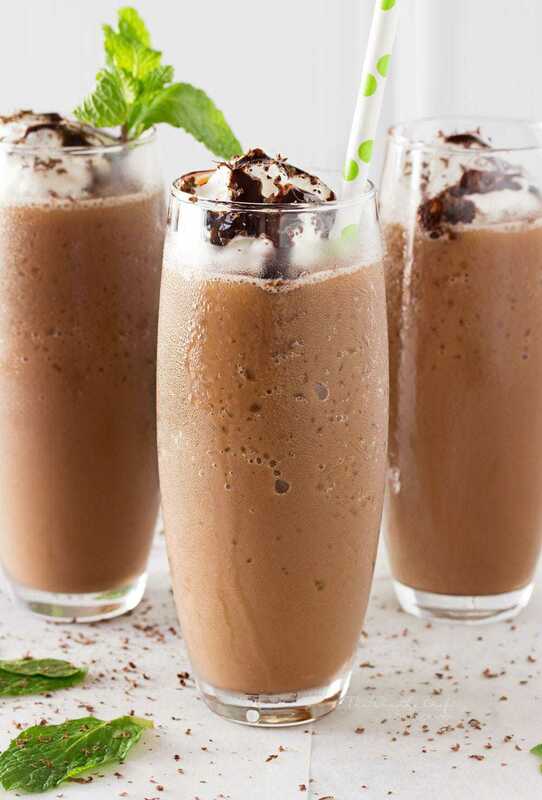 Chilled, refreshing and full of mocha and coffee flavors. 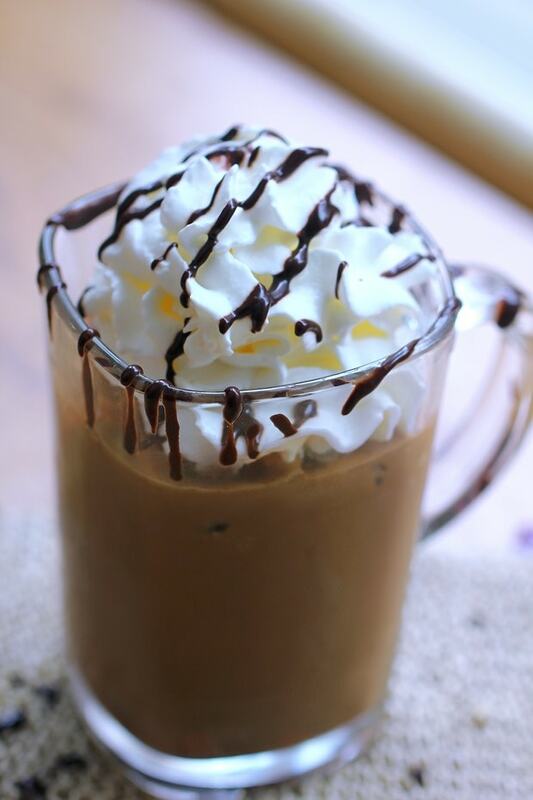 Head here for the mocha coffee recipe. 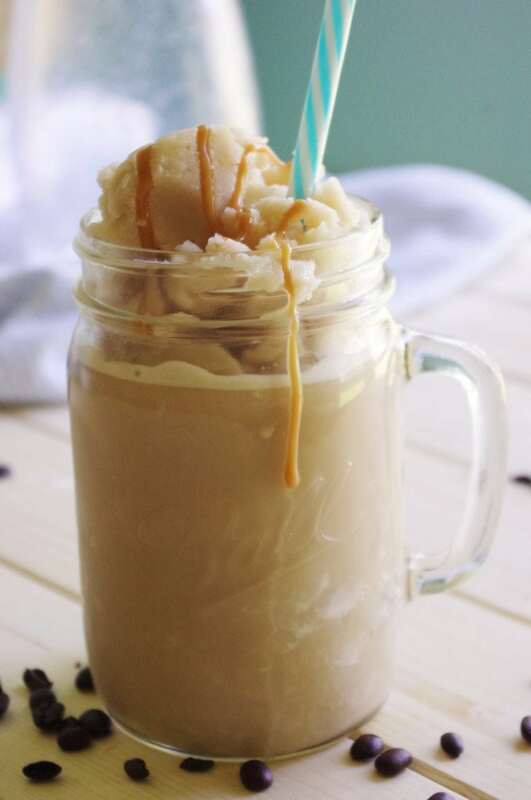 Dreaming DIY took a recipe and made it skinny for anyone who wants that caramel frozen coffee flavor without a large amount of sugar. This is only 65-calories and no one will notice. See the recipe here. Shaken Together Life shares how simple it is to make the Dunkin Donuts Copycat Recipe for the Skinny Frozen Coffee. Basic ingredients and a blender is all you need. See for yourself here. 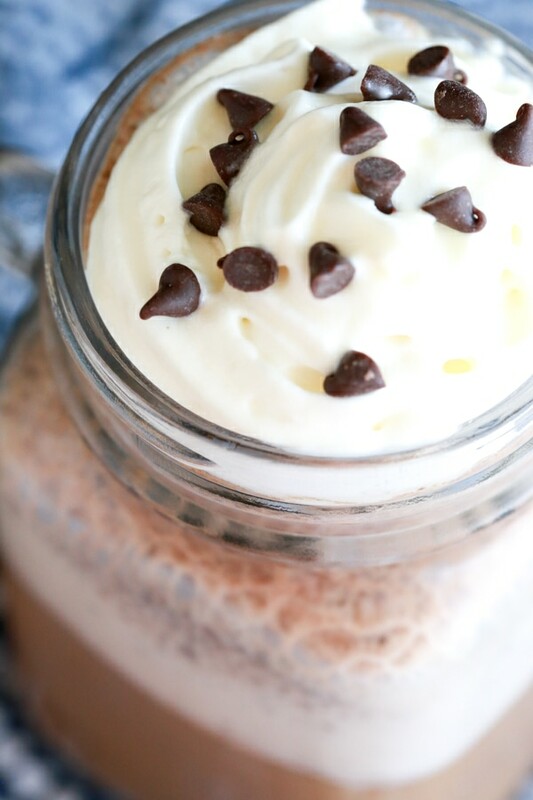 The Chunky Chef shares her copycat recipe for the Mocha Frap from Mc’Donalds. In about five minutes you can blend up this magical drink. 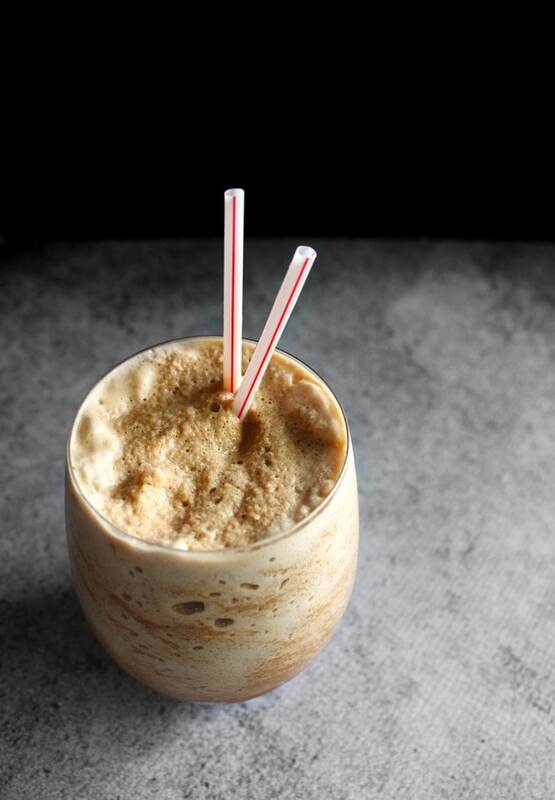 She uses frozen coffee cubes as the base for that rich coffee flavor in each sip. Learn how she makes it. 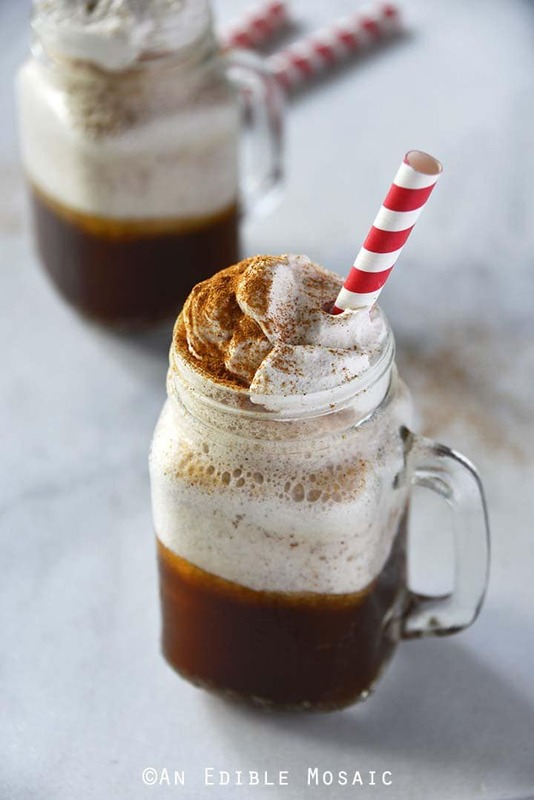 An Edible Mosiac shares how she created this blended cinnamon iced latte recipe, that gives you a hint of spice from the cinnamon. If you have never paired coffee and cinnamon, give it a try. Here is her recipe. 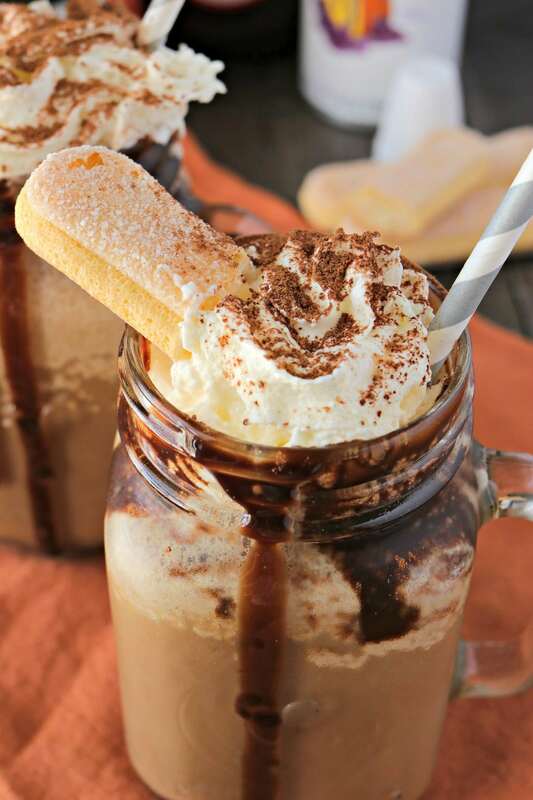 Take your love for coffee and Nutella and create this blended Nutella iced coffee like Kiki Cuppycakes did. You get that hazelnut flavor with a mix of coffee. Check out the recipe. 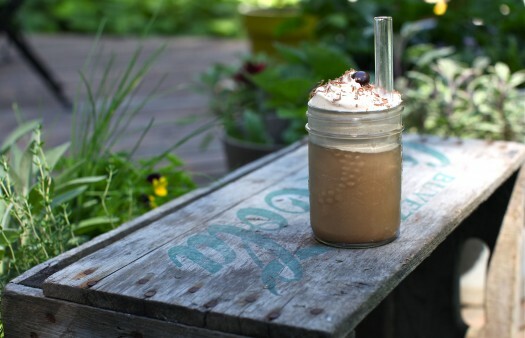 Simply Being Mommy shares how you can make a homemade iced blended coffee at home in minutes. 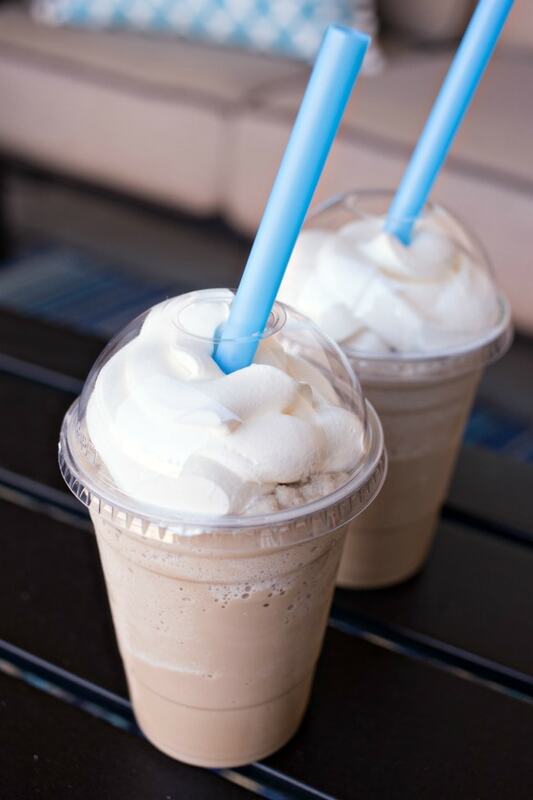 Get that hit of caffeine in a chilled blended coffee form. Here is her recipe. 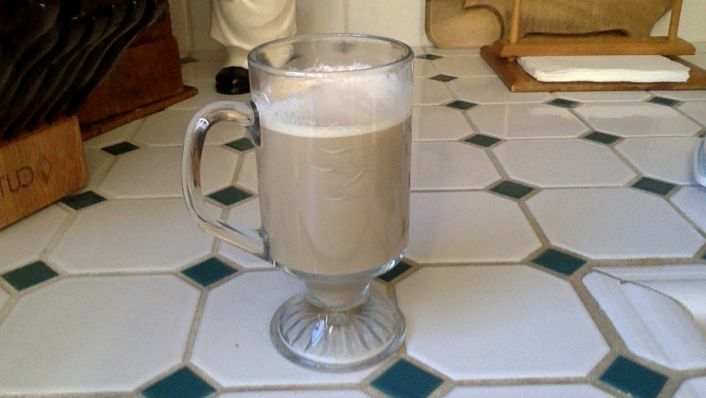 A Night Owl shares how to make a frosted coffee. 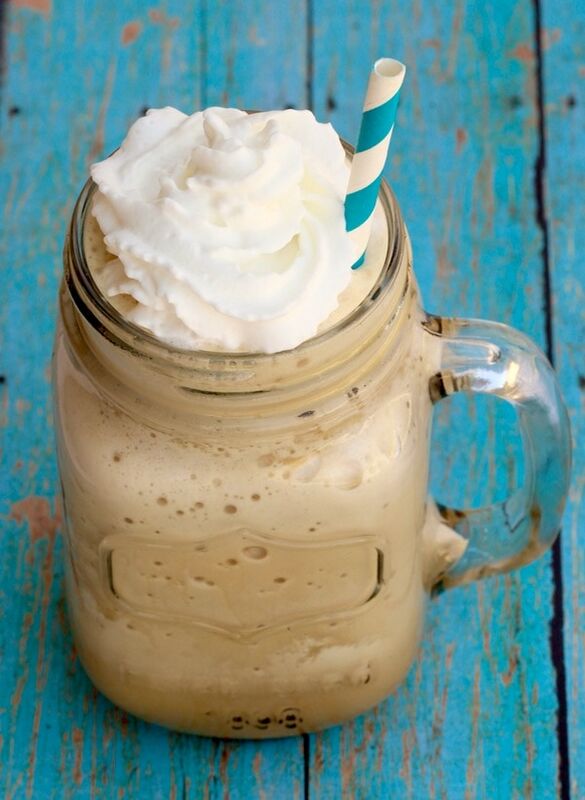 Flavored coffee, creamer, ice cream and more come together to create this creamy frosted coffee. Head here to see this recipe. 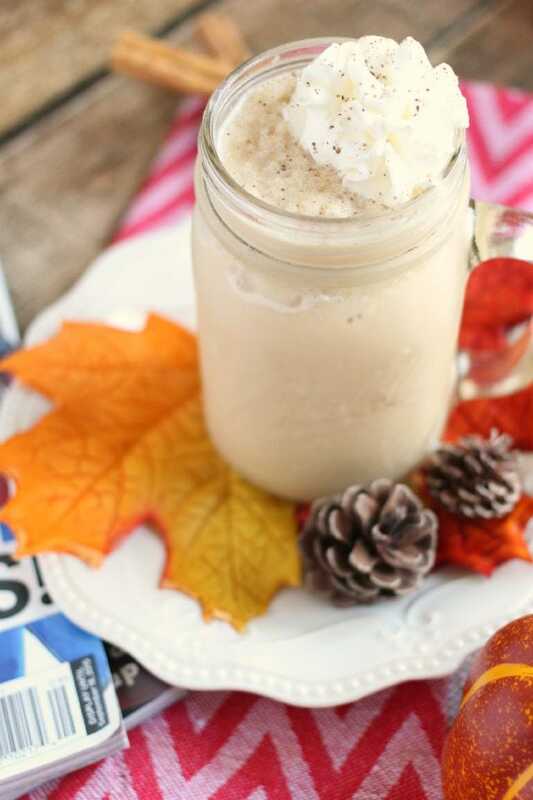 Mama Loves Food shares her favorite frozen coffee drink, her pumpkin spice. Perfect for Fall and you can taste the flavors of the holidays with each sip. Click here for the recipe. 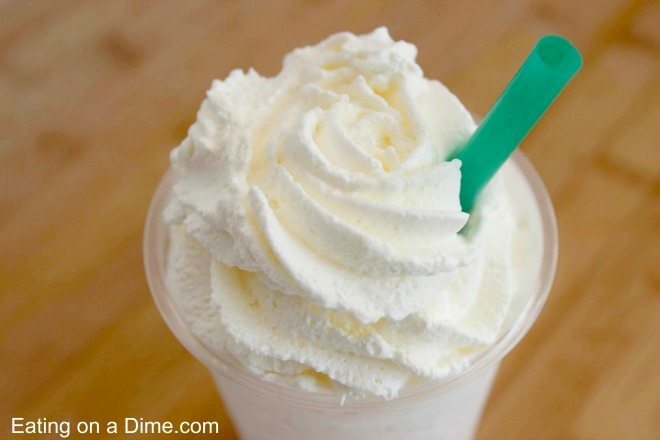 Eating on a Dime loves whipping up this Copycat recipe at home to get that smooth vanilla bean frappuccino that she would get from Starbucks. Cheaper and you can make any time of the day. See the recipe here. 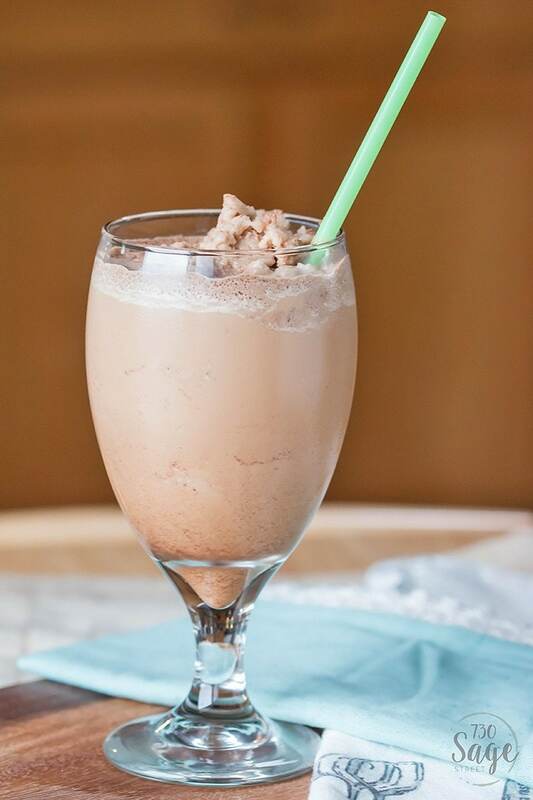 730 Sage Street shares how she gets her morning fix with this low carb bulletproof frozen mocha. Quick and easy and a nice low carb treat. The recipe is here. 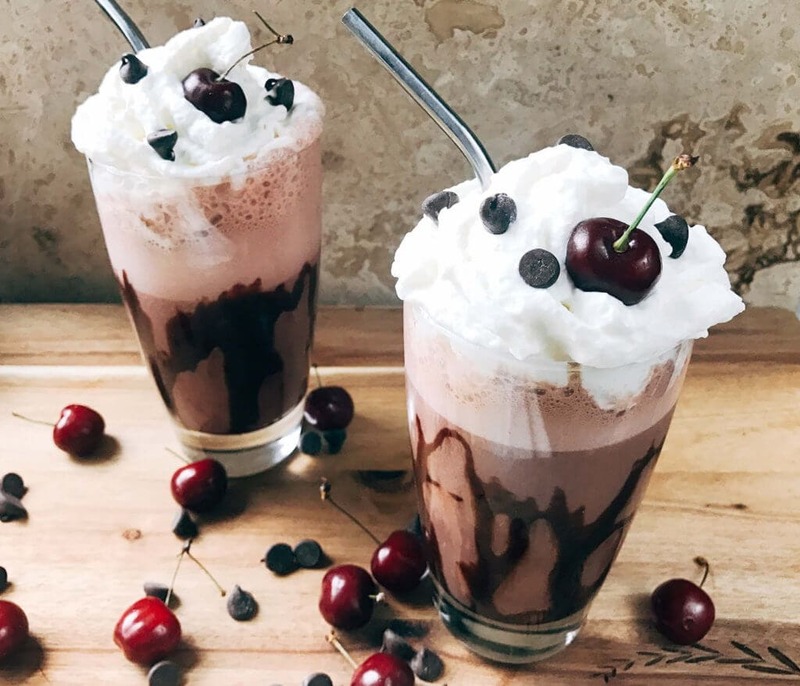 Thee Olives Branch has a frozen black forest mocha coffee recipe up for grabs. You get that coffee flavor that has flavorful cherries and mocha popping through. Try this recipe today. Certified Pastry Aficionado took the time to share her delicious Tiramisu frozen blended coffee. One of your favorite Italian treats in a coffee form! Here is the recipe. Are you drooling yet? I know I am and off to make a frozen iced coffee! Go from an old-fashioned cocktail party to a coffee extravaganza with our guide to the best flavored coffee-syrups. We will help you pick your poison with some of our top recommendations, a break down what syrups can and cannot go in your cup, and a couple recipes to get you started.